This has been on my lust list for quite some time. I don't wear liquid foundation too often so I know if I bought it, I'd have it for a while. Obviously a little on the pricier side, but this may be a product that will stay on the list until Christmas! Every single beauty blogger swears by this stuff - do I use a pressed setting powder no, am I interested to see if it makes a difference with the way my make-up looks, YES! If you want to see all the benefits to using this "cult classic" check out the link here. So hopefully this isn't as random as it looks, but once a year I like to get my pearly whites even whiter and I swear by Crest White Strips. Obviously this wont break the bank, it's just something I keep forgetting to buy! I've mentioned my love for the BB Brick before and just think this one is the best. You could use it as a bronzer or separately use the colors as eye shadows. I haven't re-purchased it in quite some time, but this one is quickly jumping to the top of my list. It has been dubbed the "facial in a jar" and from all the reviews over the interwebs it's worth the hefty price tag! I've had my eye on this for some time and will probably scoop it up during Sephora's Friends and Family sale in October...long time to wait, but probably worth it! I have a great brush set from Sephora, but the one brush it doesn't really have is a blending brush. Sigma brushes have been reviewed as some of the best out there and if I really was going to splurge - I'd buy this whole set! I've been seeing these blue-soled shoes popping around everywhere!! They haven't yet infiltrated the market like Tory Burch Reva's have and from what I've heard they are crazy comfortable! The fact that they fold up and can be carried in a clutch make them even more lust worthy! I am coveting a pair of Lulu Lemon Wunder Unders, but since those will remain out of my budget for the foreseeable future - these Athleta ones will do the trick, not to mention their on sale!! Since getting married I pretty much put a monogram on everything and anything! 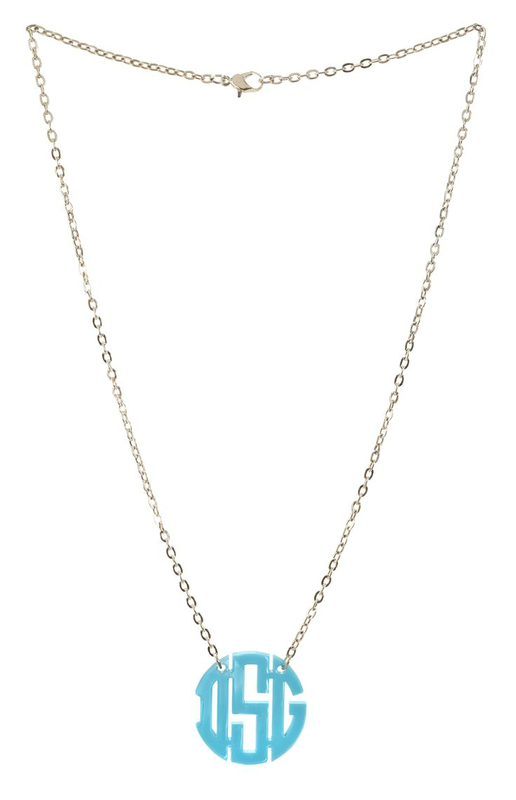 I have a really pretty gold plated necklace that I wear, but love the look of acrylic. There are tons of colors to customize it with too - I'm thinking Cobalt or Emerald! To really round out this list - we have been toying with the idea of changing up some things with our bedroom furniture. Last year we got a beautiful new headboard and this year I'd really like to change out our nightstands. Right now we have wood ones that make the room feel smaller - so I think white would help brighten up the space!! So it appears as most things on my radar are beauty related - which is fine by me as it's become a new hobby of mine! What are some products your looking at these days? I want a pair of Tieks so bad! I keep telling myself I'll reward myself with a pair if something good happens to me this year! I got a small thing of the Glam Glow and I wasn't hugely impressed. It did make my skin feel really soft but I definitely didn't feel like it was a miracle worker. Maybe I didn't use it long enough. Oh and mine dried up in the container which was annoying. Love that Bobbi Brown stuff too! So pretty! i had the nars powder and returned it :( it did nothing for me and i actually preferred the one that i was using (but ran out). as for armani foundation - i don't wear it but when i did one of those free makeup application things at the mall, i was blown away by that foundation. it's amazing. his concealer is my HG concealer and is the ONLY thing i will use to hide my dark circles. I love this list!! I am the same way - I have a running list of splurges that I really want! 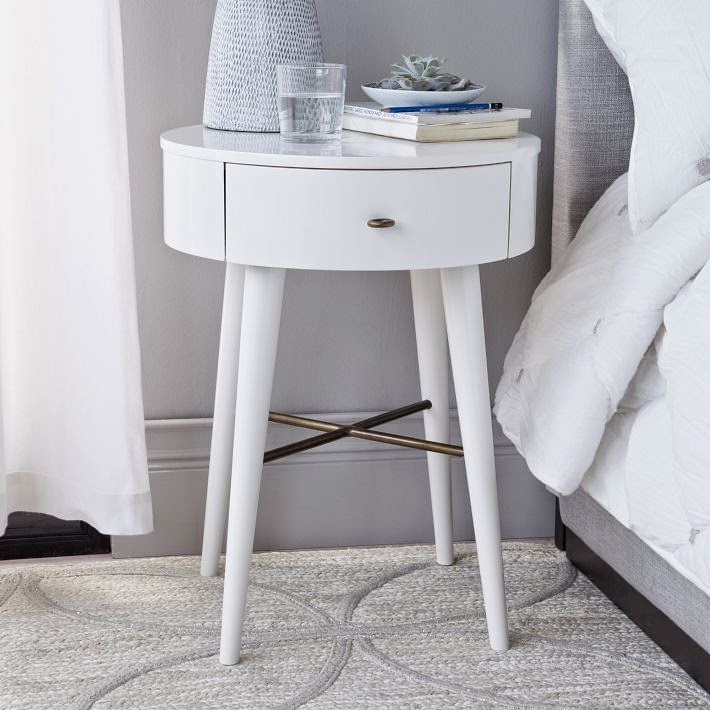 I absolutely love that west elm night stand! Most of my choices include purses...surprise! 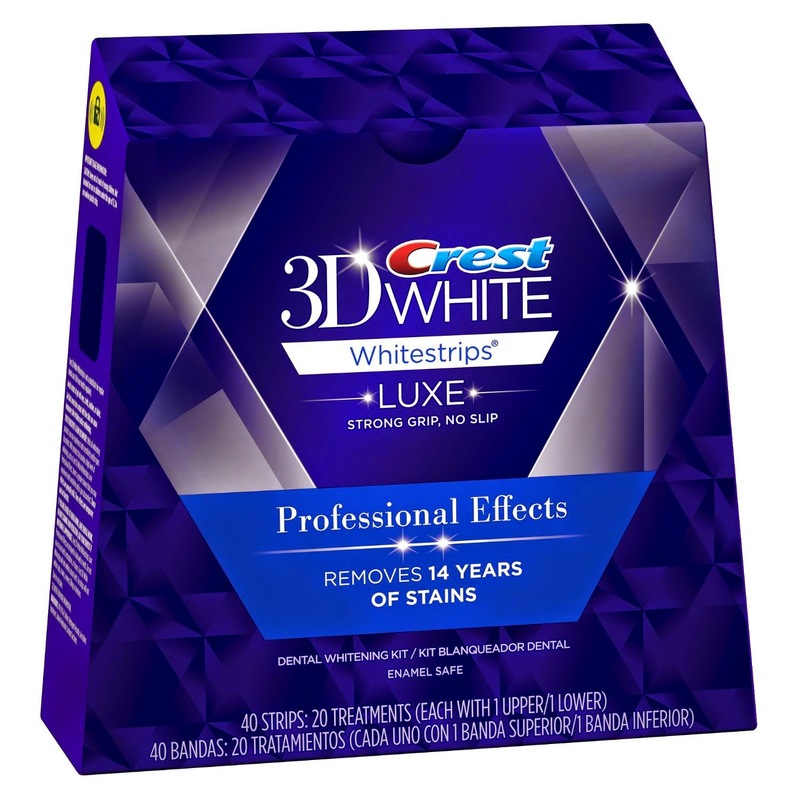 I need to try those white strips! The Youthmud sound like a good one, that may have to go on my list too! I love the colors in the BB Brick too. 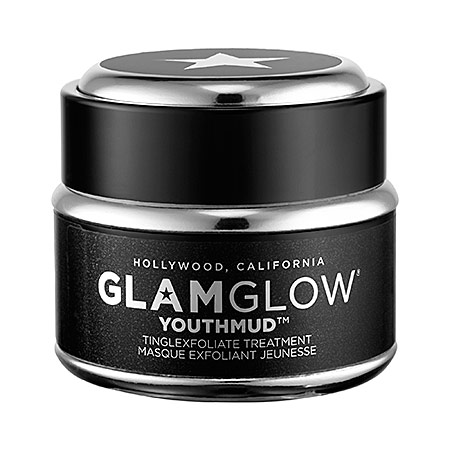 I actually found the GlamGlow on Overstock.com for much cheaper than Sephora (maybe abour $40?). If you google it it should pop up! I really want to try Tieks too. Everyone raves about them! My Sephora has tiny GlamGlow bottles for $18 - I keep meaning to try it out before getting the whole bottle. 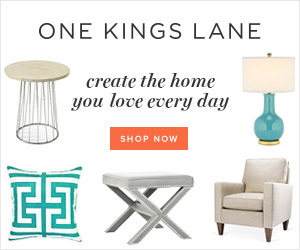 These are all great wish list items! Revlon has a great dupe for the Bobbi Brown shimmer brick, so I've been using that until I finally splurge and buy the real thing. 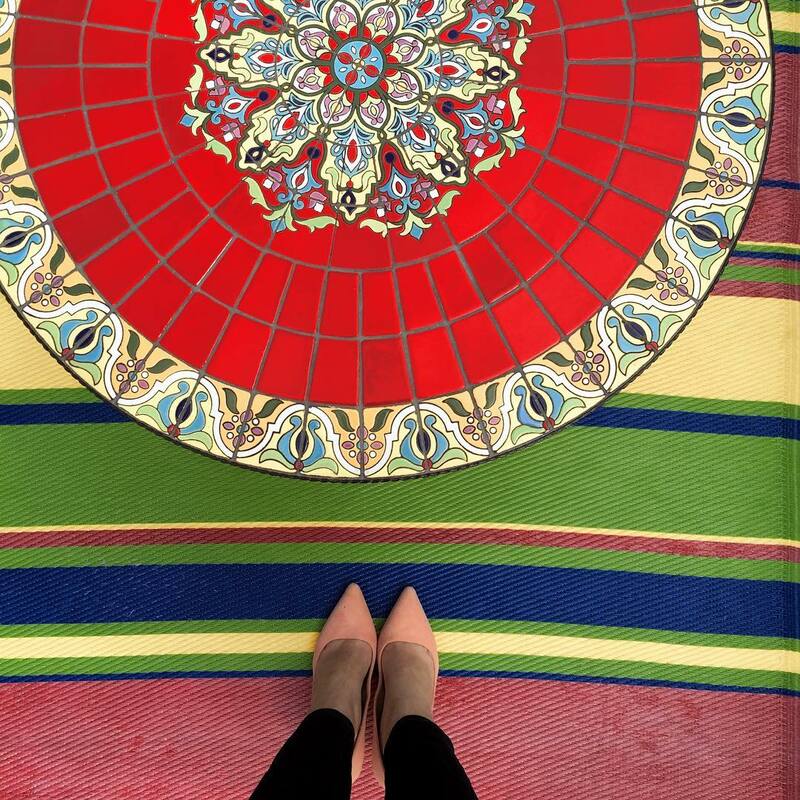 I had never heard of Tieks until all you ladies started talking about them, and now I'm intrigued! Those Athleta tights look amazing! Hope you have the best vacation! Can't wait to follow along on IG. what a cute post, and i can agree that i wouldn't mind having all of these items as well! i got a new headboard last year also and really want to change our nightstands but i'm SO cheap when it comes to our bedroom (surprisingly? i mean no one sees it but us) and i wouldn't know what to do with our other nightstands which are in seriously great shape. i guess i could sell them but ahhh i dont know. i love that look of the nightstand you have above! Great post!! I'm really loving the double wear foundation by Estee Lauder. It has nice coverage and lasts all day. The best part is that it doesn't get cakey with humidity. I so need to try the Armani foundation but it's so $$$. I'm afraid I will love it tho!! ha! I love this list!! 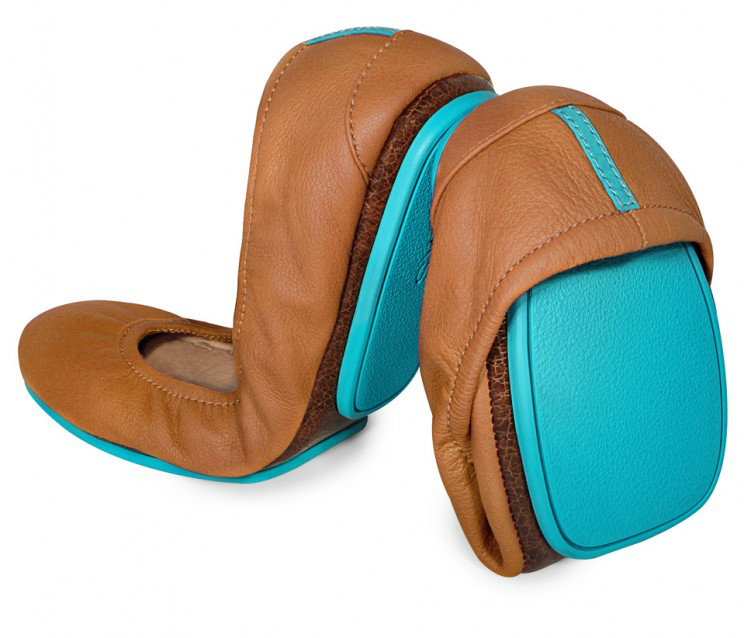 I want to try a pair of Tieks, because I do have two pair of Reva's. I love how the Tieks can be folded and stored in a purse!! Say what??!! have a great week!! I did my friend's wedding make up with Armani silk and it is like a dream. No lie. Worth the money. Of course I didn't buy it for myself yet. Also need to check out those shoes for commuting! Thanks. Loving all those fab beauty products!! I might need to try that Nars pressed powder. I don't really use powder at all right now, but I think I probably should. I've also seen those Tieks around a lot and feel like I will have to invest in a pair for Fall. Great minds think alike ;) I own sigma brushes and love them!! And those tights look crazy comfy!! I love everything on this list as well! I'm currently wishing I could get everything from the Bobbi Brown surf & sand collection! I love that monogram necklace too! This is a great want list! 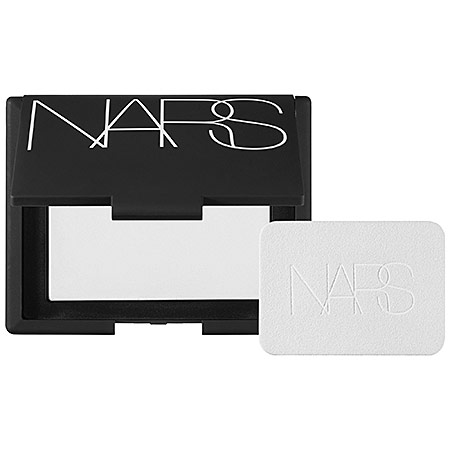 I have been dying to try the Nars setting powder. Thanks for the link also, because I wouldn't know where to start with a setting powder, but just like you I am definitely interesting in trying it out. Such a fun post! 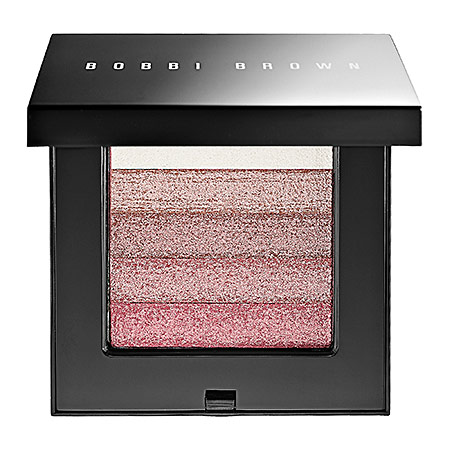 :) I have heard great things about the Bobbi Brown Shimmer Brick and the Glam Glow; those might have to make their way into my Sephora cart sometime in the near future! i want that shimmer brick so badly too, and that mask is SO worth the money! i love it! I LOVE Champion's workout tights, also (all spandex, all support ;) !). That brick is totally on my list for when my current Jane blush is done (will say it's a steal for the price). Is this Nars powder the same as the HD stuff that paparzzi pick up on their cameras when stars have it on hah? Oh YES my want list is never ending for sure. I love Sigma brushes, I have about 5 now and they're all great! I've wanted to try that Glam Glow mask too, but the price always freaks me out haha. I think it's going to be in this months Glossybox though! I love monogrammed stuff. Always so cute! I love the NARS translucent powder and the GlamGlow mask! They're both amazing! 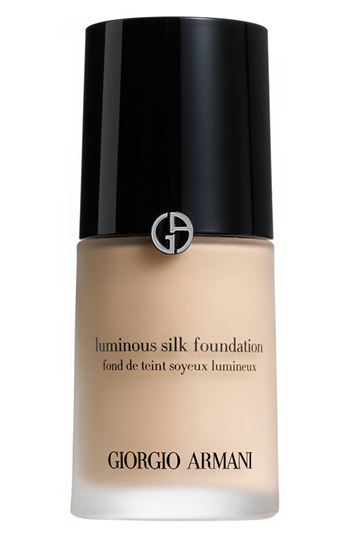 And I am DYING to try the Luminous Silk Foundation! I must admit we are on the exact same page here- I use the Mac prep/prime setting powder (when I remember) and love it. 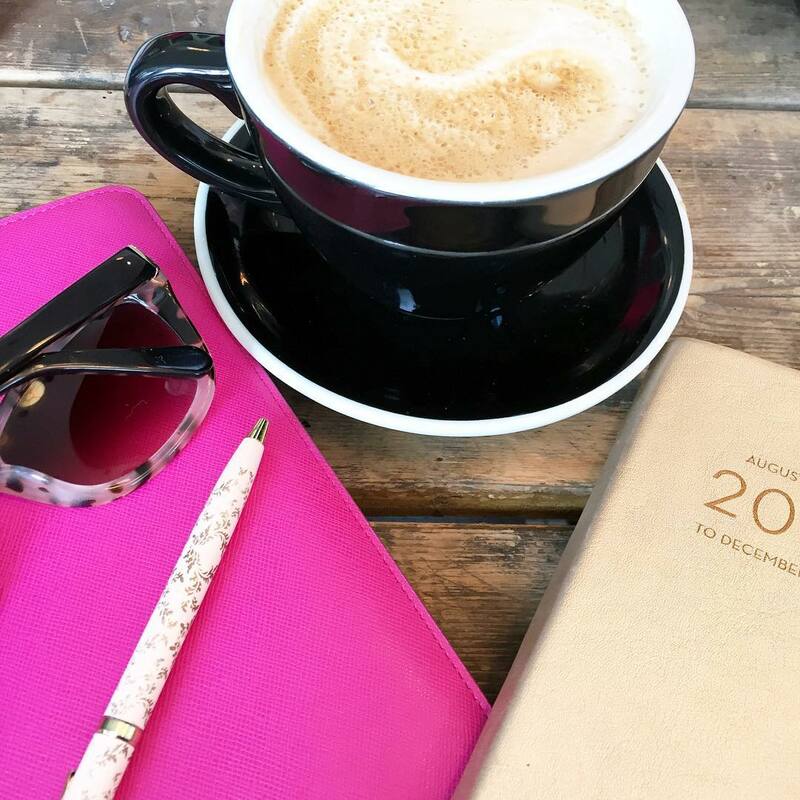 The Bobbi Brown and Glam Glow? Definitely added to my must acquire list now! Yes to the Armani foundation and the Glam Glow mask! Both definitely worth their price tags! I can't believe this but I've never heard of the NARS pressed powder -- off to check out that article and probably add it to my never ending wish list! I'm definitely checking out the mask ASAP and the powder when mine runs out! i want a pair of tieks so bad! i've heard they are so comfortable and that's hard to find in a flat shoe. definitely want to try to the BB Brick and the Nars pressed powder now! I am coveting those shoes as well.... adorable. I like to carry as much as humanly possible with me at all times but shoes are always hard to fit in lol... perfect!!! I say splurge on the Lululemons! You will wear the heck out of them! Ohhhh this list is amazing!!!! I love finding new make up brushes! The NARS pressed powder has been on my list as well! It is crazy expensive here, but maybe next time I am in the US! Great selections! I can vouch for the Armani foundation - it's one of the best! Ever since getting married, I also put a monogram on everything! Or get anything that says "B"!!! I always have a list of "wants" too! Haha! I really love those shoes and that monogram necklace! I need those fold up shoes like right now!